The US government needs to realize there are still US citizens trapped in Yemen, who might be kidnapped, injured and even killed. It needs to find a way to get these people out, says Abed Ayoub from the American-Arab Anti-Discrimination Committee. At least four US citizens are reportedly being held hostage by suspected Shiite rebels in Yemen with Washington now thinking over ways to secure their freedom. Since the start of the Saudi-led airstrikes, US citizens have been among the thousands of civilians desperate to flee the conflict zone. However, Washington has offered little support to Americans stuck in Yemen. Some of them did manage to escape on board Russian airplanes. Although some managed to flee, it's estimated that a large number of US citizens are still trapped in Yemen. RT:Americans trapped in Yemen repeatedly called on Washington for evacuation help, but little has been done. Was the capture of US citizens inevitable? Abed Ayoub: Absolutely, we do feel it was inevitable given the nature of what’s happening in Yemen and the realities on the ground. If you have US citizens there, if you have in fact any nationals there, there is a high likelihood they will be kidnapped and they will be possibly held for ransom, possibly injured and in the worst scenario killed. 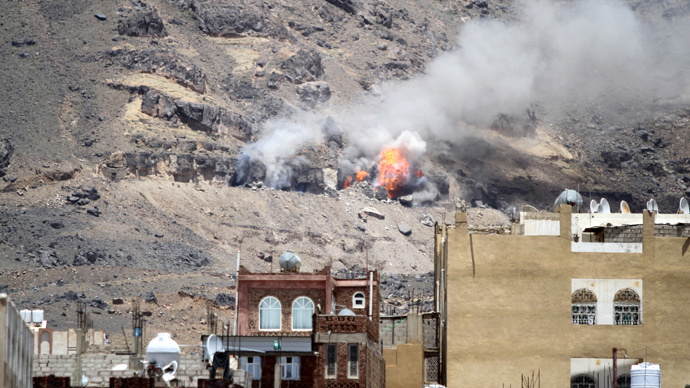 So this is the reality on the ground in Yemen. And this is why we are pushing the US government to get their US citizens out to avoid situations such as this. RT:Washington says it's doing all it can to ensure the release of the four Americans.What are its chances of success, given it backs the Saudi-led strikes? RT:Do you think Washington might now re-think its policy on getting Americans out of Yemen? AA: We’d hope that this unfortunate incident sends a message to Washington that the threats faced by US citizens are real, so that they take measures to get these citizens out. We need to take measures and we need to get them out. I think the fact that you have US citizens there in Yemen who have been captured [means] the priority should be obtaining their safe release and ensuring they get back home safely. We also have to take measures to protect the remaining citizens there and ensure they don’t end up in the same predicament. RT:Are there going to be more kidnapping in your opinion? What should be done by the US government? AA: There is a high likelihood that this could continue, that there could be future kidnappings and future capture of US citizens. I think what the US government needs to do is take a step back and look at the fact that there are still US citizens there and determine what programs they can implement, and what logistical methods they can move forward with to get these citizens out.